The first step in dissolving an LLC is to authorize dissolution by a vote of LLC members. 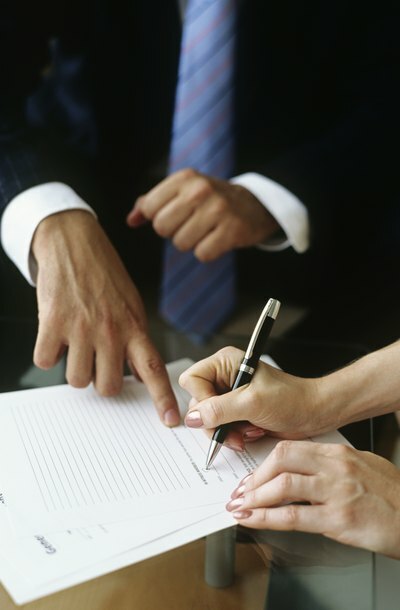 If your LLC has an operating agreement, it should specify dissolution procedures. These procedures may be limited by state law, however. California, for example, requires a vote of members who collectively own at least a simple majority of the interest in the LLC, but the state allows an LLC operating agreement to require a higher percentage. A dissolution vote will not be necessary if the LLC is being dissolved because its Articles of Organization specified that that it was to automatically dissolve on a particular date or upon the occurrence of a specified event. After voting to dissolve the LLC, draft a written resolution stating that dissolution of the LLC has been authorized, have every member who voted in favor of the resolution sign it, and distribute a copy to each LLC member. This may help prevent litigation in the future if a dissenting member claims that dissolution was not properly authorized. Articles of Dissolution are typically one-page, fill-in-the-blank documents that can be downloaded from the website of the secretary of state of the state that formed the LLC. A typical Articles of Dissolution form requires the name of the LLC, the date of its formation and the grounds for its dissolution -- such as the passage of a dissolution resolution or the occurrence of an event specified in the Articles of Organization. It must be signed and dated by a representative of the LLC. You may have to prepare similar documents for other states that have authorized the LLC to do business there. After preparing Articles of Dissolution, you must file them with the Secretary of State of the state that formed the LLC, and file similar documents in states that authorized the LLC to do business there. Some states allow online filing, while others require surface mail or hand delivery. Most states assess a small filing fee and will mail an official acknowledgment of the dissolution to an LLC representative. Cancel all licenses and permits issued in the LLC's name and close the LLC bank account. This may require you to present the official acknowledgement of dissolution provided by the state. If you registered a fictitious business name for the LLC, you must cancel it. If the LLC obtained an Employer Identification Number, write to the Internal Revenue Service, Cincinnati, Ohio 4599 and inform the agency that you wish to close your business account because your LLC has been dissolved. The LLC must also file final tax returns with state and federal authorities, and pay any taxes due. All LLC creditors, including LLC employees, must be paid in full before any LLC assets are distributed to members. If any assets remain after creditors have been paid, the LLC must distribute them in the manner specified in the operating agreement. If no operating agreement exists or if the operating agreement is silent on this issue, you must refer to state default rules. Some states require the assets of a dissolving LLC to be distributed equally among the members unless an operating agreement states otherwise. Limited liability companies and corporations are both governed by state law. LLCs have members who own the company and corporations have shareholder owners. If you are a member of an LLC, you might be able to transfer your ownership interest in the LLC to a corporation. It depends on your state, the provisions of your LLC agreement, and the purpose of the limited liability company. What Happens When a LLC Dissolves? An LLC, or limited liability company, operates according to the statutory rules of the state where it is registered. Although each state has its own individual laws relating to the setting up and operation of LLCs, most apply similar rules when an LLC dissolves. In addition to the legal rules, the members of an LLC often enter into an operating agreement when they set up the company; this agreement usually contains specific provisions for dissolving the LLC. Limited liability companies, or LLCs, are flexible business entity structures that have characteristics of a corporation as well as a partnership. However, each state can impose different requirements to create a LLC, though in most jurisdictions, the formation process is similar. Moreover, most state laws allow you to form a LLC for any legitimate purpose, such as to hold and trade investments.